WOW- that building doesnt look that old !!! Wonder what a 30 year old dinosaur building would sell for? Just wonder McDonald's investment in this property is? Probably have over a million dollars into it $500K for the land (I am sure they over paid) and $500K into the building now they are selling for .05 on the dollar. Well, we don't know if McDonald's Corp. owned the property or if they are the ones looking to sell it. 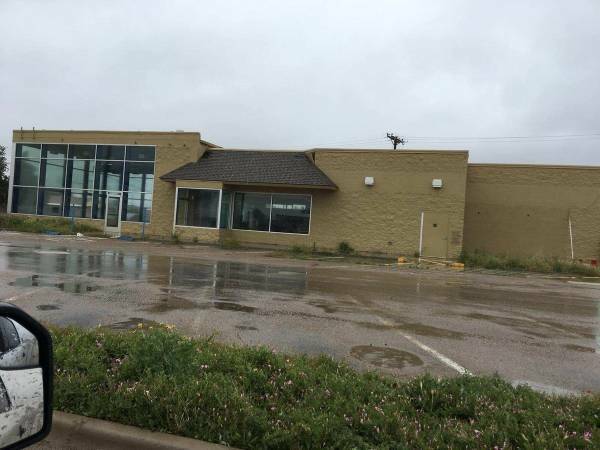 It could be the actual owner of the property who was leasing it to McDonald's. Or, it could have been leased from the secret REIT operated by a group of McDonald's vendors. To me that looks like the building design being built in the mid and late 1990s. It could be that McDonald's was leasing it for twenty years with options beyond that and instead of taking the options they relocated it. The relo is two blocks down the street and has a double drive thru, the old store didn't.